This post is part of The Historical Cooking Project's special series Booze, Brews, and Drinks, which speaks to the confluence and the divergence of the histories of booze and food. To artfully misquote Catherine Parr Traill, there is nothing a doctoral candidate, estranged from the wonders of the Quebec microbrew industry, in far-flung Winnipeg "complains more feelingly of than the want of good beer and ale." (Parr Traill, 136) While the dearth of microbrews is indeed dire, Parr Traill is incorrect in her 1854 assertion that "[n]obody brews beer in their own homes in Canada" (Ibid.) 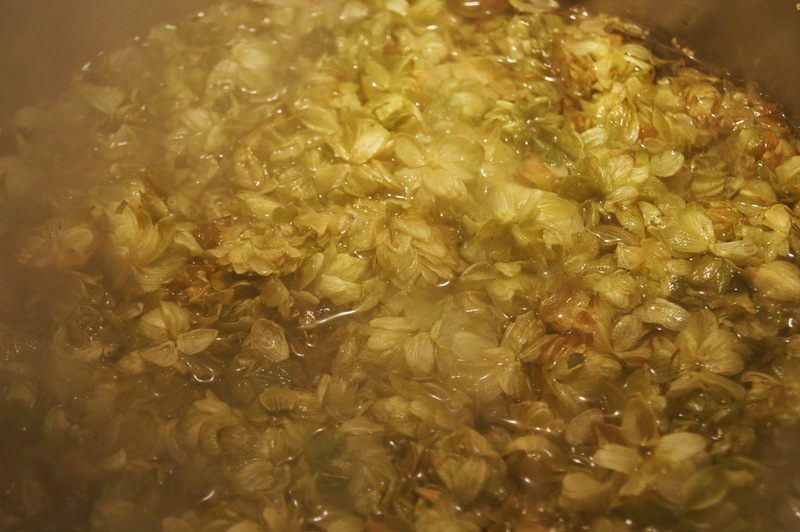 as 160 years later, home brewing is *ahem* hopping along just fine! While my usual brew is in the style of an English bitter, due the mid-19th century shortage of "maltsters," Parr Traill suggests that a nice substitute for barley-based beer is treacle beer. Treacle is a sugar syrup made in the production of refined sugar, and it comes in a three shades. The darkest, black treacle, is molasses. The two lighter shades are dark treacle and golden syrup. Given the strong flavour of molasses, I opted for golden syrup. 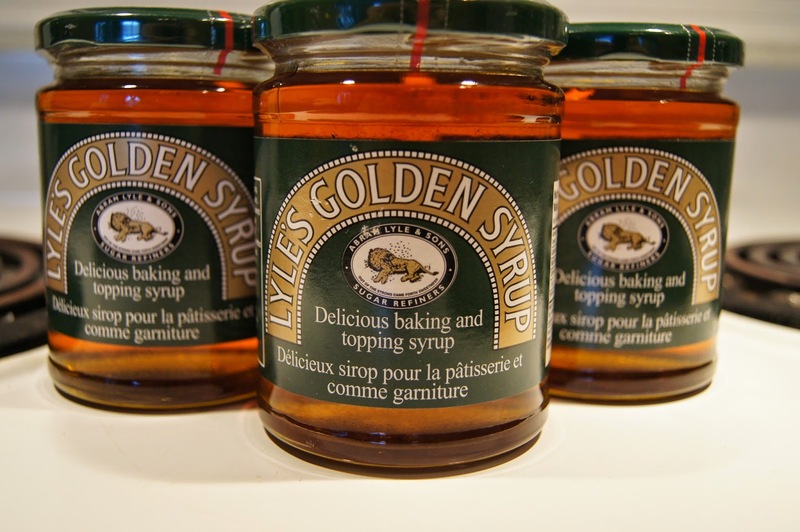 According to The Daily Colonist (Victoria), Lyle's Golden Syrup could be obtained for twenty cents for two pounds in 1907, thanks to the 'Progressive Grocers' at Dixi H. Ross and Co. According to the Bank of Canada's inflation calculator, twenty cents in 1914 would be worth $4.11 today. I paid roughly double that for my treacle: Bulk Barn, watch out, the Progressive Grocers of Dixi H. Ross and Co. will undercut your margins! According to explorer W. Boyd Dawkins's 1885 report to the Manchester Historical Society, "Winnipeg is famous not just for its rapid growth [...] but also for its mud. The mud is so extraordinarily tenacious that the railway engineers have invented the special name of 'gumbo' for it. It is a material which sticks as fast to the spade as so much treacle.'' (Boyd-Dawkins, 92) The stuff I purchased is definitely viscous - it takes over thirty seconds for the air bubble at the top of the jar to reach the other end after turning the small jar upside-down. I don't know how that compares with the mud around here, but I've no desire to try. If you happen to be in Winnipeg in 1865, however, Messrs. Weide and Bro., next door above R. H. Biggs, druggist, keep golden syrup "constantly on hand.'' (The Nor'Wester, Oct. 13, 1865, p. 4) Very good, then. To a five-gallon cask allow four pounds treacle : boil a large handful of hops in a gallon of water, for an hour : strain the liquor off the hops into your cask : add the treacle : fill up with water, to which put one pint of yeast : in two days bottle it, but do not cork till the third : it will be fit to drink in two days after corking. The theory of brewing is relatively straightforward. Mix together some sort of sugar, water, and yeast. The yeast converts the sugar into mostly alcohol and carbon dioxide. As we generally prefer beer and things like beer to be carbonated, we want some of that process to occur after bottling, so that the carbon dioxide builds up, saturates the liquid, and makes it fizzy. If there is too much sugar in the liquid at bottling, then too much carbon dioxide will be produced, and the pressure could build up to the point where the bottle explodes. The usual solution to this is to ferment the liquid until it is "dry," that is, until nearly all the sugar is gone. 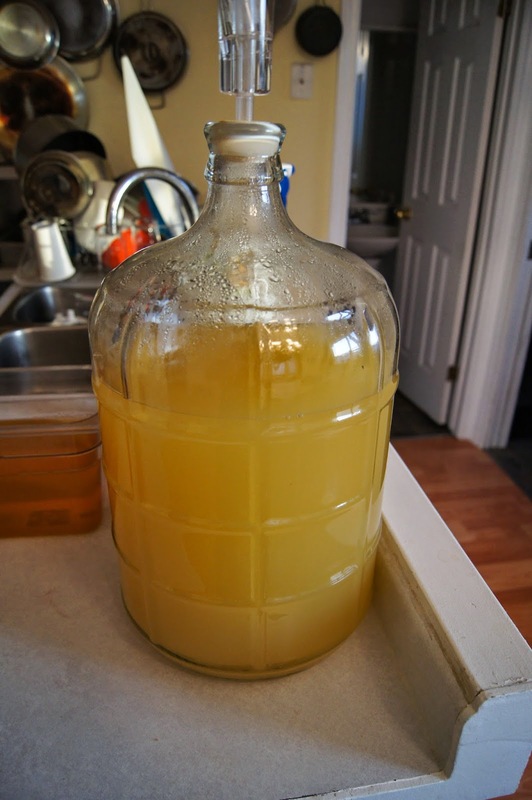 Then, a carefully specified amount of corn sugar, a fermentable that converts entirely, is added to the liquid prior to bottling, so that one can guarantee a safe and sufficient level of carbonation. The pleasant flavours of various alcoholic beverages come from several different sources. The variety of sugar used, for example, malt sugars in beer, or fruit sugars in wine, could come along with other molecules that are not fermentable, or not fully so. Those other molecules provide the taste differentiation. In the case of many wines and of hard liquors (which are also distilled), interesting flavours also come from the wood that the beverage is aged in. To almost all beer, you add hops, a flower, which A) taste good, and B) discourage some types of bacteria from reproducing. Catherine Parr Trail does not instruct the brewer to ferment to dry. After three days of fermentation (at some arbitrary temperature), she says to cork the bottle. Essentially, you hope that there is enough sugar remaining unconverted to carbonate and that there isn't so much that the bottle explodes. I have a hydrometer, which measures the specific gravity of the liquid. From this I may calculate the amount of sugar remaining, so hopefully I'll be better off than Parr Trail - I am able to predict, using the magic of science, that my bottles won't explode. I didn't wish to do a full five-gallon batch of treacle beer, so I targeted the recipe to something more like two gallons. I have a 2.5 gallon carboy (glass fermenting jar), so I can do primary fermentation in the carboy and not worry about it blowing the lid out. For the hop boil, I used one ounce of vacuum packed hops. As they recovered their shape in the water, it became apparent that I used a fair bit more than two-fifths of a "medium handful." This makes it taste more hoppy, which is just fine with me. After the hop boil, I added in approximately 725g of the light treacle, and then filled the carboy up to approximately 9.1 litres. The yeast was a vacuum-packed English ale variety, which I activated with warm water and treacle prior to pitching. Initial specific gravity was 1.05 (a ratio of density over the density of water). After two-and-a-half days, the specific gravity had reduced to 1.02, less than the initial 1.05. This means that sugar, which has a higher density than water, was being converted into alcohol, which has a lower density than water. Operating under the assumption no other peculiar substances have found their way into the liquid, this can be used to estimate the amount of sugar remaining in the liquid. A cloudy, yeasty, and hoppy treacle-beer concoction. I was in a bit of a rush to determine if I could safely bottle, as I'd be leaving for a research trip the next day. Floundering about through tables of alcohol measurement equivalents, it seems that a specific gravity of 1.02 is equivalent to 5.1 degrees Plato, which should, when bottled, yield a carbonation pressure of about five atmospheres. Carbonation can be determined from the number of grams of unconverted sugar in the liquid plus the saturation of the liquid with CO2 - determined by temperature. Roughly four grams of pure sugar per litre of the liquid prior to bottling should give one atmosphere of pressure. Five atmospheres pressure isn't entirely absurd. Champagne is pressurized to over six atmospheres, and espresso machines put out nine atmospheres of pressure. But ordinary beer is generally in the 1.5 - 3.5 atmosphere range. And I have ordinary beer bottles with ordinary caps. While my long-suffering spouse puts up with a lot during my beer-making shenanigans, I didn't think it would be quite cricket to leave her with exploding beer bottles as I perused archives half-a-country away. I decided to let the treacle beer ferment to dry. After a bit over two weeks, I bottled the treacle beer. It was at a specific gravity of 1.009. To the nine litres of liquid, I added 72 grams of corn sugar, which should (if I'm doing this right) add two atmospheres of pressure to the one it already had, for a final pressure of roughly three atmospheres. This is higher than my favourite beers - in the 1.5 range - but lower than some others. So, fizzy, but not too fizzy. With the 1.05 to 1.009 difference in specific gravity, the alcohol level should be about 5.4% plus the alcohol generated by in-bottle fermentation. At bottling, the liquid was a beautiful golden colour with a hint of green, and tasted kind of sweet and alcoholic with a strong and pleasant taste of hops. After a bit more than three weeks of bottle conditioning, in the interests of a "scientific" evaluation of the treacle beer, I invited over an "expert" panel of taste-testers. Thanks to a beer evaluation sheet provided by the fabulous Marlies Tibbs of Kenaston Wine Market, our panel of tasters had a solid rubric to approach the tasting process. I also promised them homemade pizza. I think that's why they came. Some tasters were unfamiliar with treacle, and in one case the name of the beer was rendered on the sheet as "trickle bear" - a name that I think I'll try to stick with. 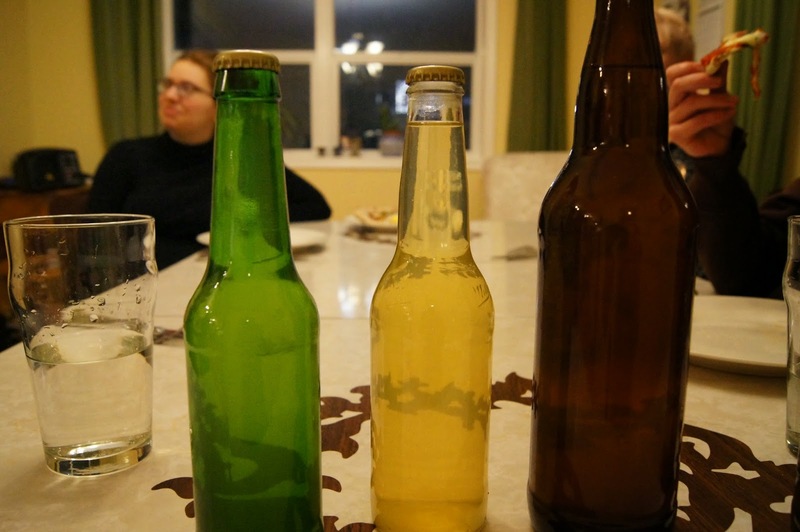 The panel was nearly unanimous on the colour of the beer, "straw" - on the far left of the beer colour spectrum. It is also a bit greener than one usually sees amongst beers. The treacle beer was rated somewhere between dull and brilliant on the clarity scale, and poor on the head scale. The last is a bit generous, as it was entirely devoid of head. The aroma was faint and sweet, comments included: vaguely fruity - apple? ; pear; aroma reminiscent of cider / notes of apricot; smells sweet. The tasters felt that the mouth-feel was medium to light and the carbonation was faint. I was a bit frustrated by this, as I had wanted it to be fizzier. I have suspicions that absent the minerals provided by more complex sugar bases - that is, malt - the yeast wasn't able to operate as long and thus build up a higher pressure; it may also be a temperature issue as the corner of the house where I kept the bottles is a bit chilly. I have experienced this problem making gluten-free beer before. Generally, the tasters thought that the treacle beer was fine, but certainly not amazing. One taster, who often has occasion to drink gluten-free beers, rated it as "excellent." I wouldn't go quite that far, but I thought it was fine. Another taster observed that it would be much better if fizzier, and I agree fully with that. Parr Trail's recipe suggests that the drink is quite fizzy, so in that respect my version is off the mark. Another taster, damning the beer with faint praise, remarked "this is the best gluten-free beer I've ever had," but also noted that "the sugar flavour is overly present in the finish." I have a sneaky suspicion that the panel preferred the pizza, made with the Lahey 24-hour slow-rise dough recipe. One friend, who couldn't make it, has a gluten allergy, and if he likes the stuff, I may very well be making it again. In any case, cheers to Catherine Parr Traill and her treacle beer! Boyd-Dawkins, W. "Canada and the Great North-West." The Journal of the Manchester Geographical Society (1885). Traill, Catherine Parr. The female emigrant's guide, and hints on Canadian housekeeping. Toronto: Maclear, 1854. The Daily Colonist (Victoria). https://archive.org/stream/dailycolonist19070129uvic/19070129. 1907-01-29, p. 1. The Nor'Wester (Winnipeg). 1865-10-13, p.4. This is a guest post by Daniel Simeone. Daniel is a late-stage PhD student at McGill University. His dissertation research focuses on bankruptcy in 19th century Canada and Quebec. In his spare time, he like to brew beer, bake bread, make yogourt, roast coffee, and eat beautiful food. What better to do when it is 35 below in Winnipeg? wow great post This is higher than my most loved brews - in the 1.5 territory - yet lower than some others. Along these lines, fizzy yet not very fizzy. With the 1.05 to 1.009 distinction in particular gravity, the liquor level ought to be around 5.4% or more the liquor created by in-jug maturation. At packaging, the fluid was a delightful brilliant shading with an indication of green, and tasted sort of sweet and alcoholic with a solid and lovely taste of bounces. After more than three weeks of jug molding, in light of a legitimate concern for a logical assessment of the treacle brew, I welcomed over a "specialist" board of taste-analyzers. Expedia offers cheap last-minute flights from the United States to destinations in Europe, South America, Asia, the Caribbean, and more. To save you money and keep booking hassle-free, Expedia negotiates with discount airlines and all major airline carriers to help you find discount round trip or one-way flights to family vacation destinations and major cities all the world.